Still unsolved: New findings report a grand jury indicted JonBenet Ramsey’s parents, but the district attorney refused to prosecute. It It was a beautiful Christmas Day in 1996 when the shocking news of JonBenet Ramsey traveled across the nation: The child beauty queen was brutally murdered. The odd and confusing evidence surrounding JonBenet’s death lead many to suspect Ramsey’s parents were involved — somehow — in the death of their youngest child. Hunter misled the press: A grand jury had, in fact, indicted JonBenet Ramsey’s parents just a short while earlier of child abuse resulting in death. It was the district attorney’s office that declined to move the case forward despite a green light from the Ramsey grand jury results. 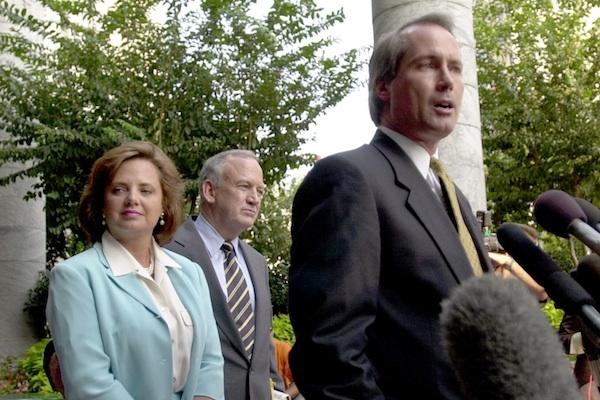 Hunter refused to sign the grand jury statement — an issue legal experts debate was either unethical, improper procedure, or common — and instead told the press he could not move forward with JonBenet Ramsey case with evidence currently available. A local Boulder newspaper that first broke the story talked to University of Colorado law professor Mimi Wesson, who expressed concern over Hunter’s decision to effectively hide the grand jury findings from the public. Instead, Hunter simply would not sign the grand jury’s statement and never informed the press that the grand jury had elected to move forward, but he in good faith could not. The JonBenet Ramsey case remains open.